Just had to share this photo. One week ago today I was explaining to our 14U Glory team about not sliding or running into a tag, especially at home. Instead, I said, if the ball beats you there use a slideby. Knowing, however, that many people learn better by seeing than hearing, I positioned a catcher at home with the ball, strolled up the third base line, and then took a run at the plate. (I was wearing shorts at the time, incidentally.) As I approached the catcher I got out wide, beyond her reach, executed the slideby and touched the plate with one finger. Safe! When I stood up to review what I’d just done, one of the girls pointed out that I was bleeding. I didn’t think much of it, but we took a break while I cleaned it off. Turned out to be worse than I thought at first. In fact, the photo you see here is after a week of “healing.” It’s made for a great war story though, and it definitely demonstrated that I won’t ask my players to do anything I wouldn’t do. Still, you’d think I’d know better. Old men, especially fat ones, and sliding are not a good combination. I have to think that the added weight didn’t do me much good as I tried to “glide” across the infield dirt. In any case, while it looks bad I am fine. I’ve been wearing two 3″ x 4″ gauze pads over the area for the last week, changing them each morning before I head to work. It’s not as bad as it was, but I have a feeling I’ll be showing this particular scrape in some form for a few more weeks. Oh well, all for a good cause. Posted on July 15, 2010, in Baserunning. Bookmark the permalink. 9 Comments. That’s why you invest in a pair of $20 sliding pants. 🙂 I used to rip my legs up sliding like you did, but finally got sliding pants last year and have been scar-free since (aside from taking a cleat to the shins while making a play on a runner sliding into home – a lesson on why real catchers wear shin guards).Sliding pants can actually make you more aggressive since you won’t fear the repercussions of sliding with exposed legs. 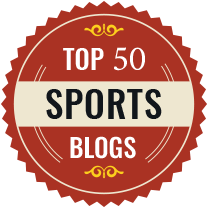 Just wanted to say I really enjoy your blog, as well as the guest posts you’ve done on “softball performance” blog. It’s also nice to meet someone else from Illinois (we’re in Evanston). Great blog — keep up the good work! Thanks, Liz. Glad you enjoy the posts. Perhaps I’ll see you around the fields! I was catching at our second to last practice, as I have done at several practices before. This one got me. Girl was up to bat, the other coach was pitching. Pitch comes in, batter swings and tips a flat foul right at my face..Had enough time to turn my head and take the ball on the side of my head..Closed Zygomic fracture…Had I been slightly off to the side, or wearing the proper head gear I wouldn’t have had any injury…Lesson Learned..
Gene, all I can say is ouch! And what were you thinking? :-)Actually, I did that once too — catch without gear. It was right before a pitching lesson. I was kicking several boys off a softball field to do the lesson when they became fascinated with the idea of trying to hit off a softball pitcher. This particular one happened to be very good, so I said I’d catch without gear. I didn’t expect them to get a bat on the ball. She hadn’t warmed up yet, though, so they were able to hit — weakly to right field. One foul tip and I’d have been in trouble! That was the last time I did that. Good story, Ken. I’m all for becoming proficient in all parts of the game to demonstrate them properly but … sliding in shorts?! Try wearing baseball pants on sliding days. Ouch…Believe me, I can relate. I have hurt myself more than a couple time trying to show the girls on my team how properly do stuff. The worst one for me was showing them how to run bases. I ran for about an hour and could barely walk the next day…the things we do for our teams…LOL. Sad part is we really never learn. I’d do it again in a heartbeat. By the way, it finally did recover. But it took about a month and a half before I could quit wearing bandages on it.